I hope you take full advantage of what this page has to offer. I have tried many different programs and worked with lots of different people and the ones on this page, I have found, offer you the best, truest products from their heart. Any one of these programs, if you follow them, will warrant you spectacular results. However, if you are like me, you will eventually get something from all of them which absolutely perfect. So, please take a look, review their offerings and see if you find something that is resonating with you. Most of these offerings are time sensitive and they change very often. It's best if you click through each time to see what's their latest surprise. Eva Gregory is my personal friend, mentor and coach. And she has TONS of products and offerings for you that you will just love. She is an amazing person and connecting with her has changed much in my life tremendously. I know she can do the same for you. If you are not familiar with therapeutic gemstones yet, here is your introduction to Gemisphere. They are on the cutting edge for the way gemstone healing work is evolving. I always have at least one of these on all the time depending on what I feel for that day. Usually always you will see me wearing my quartz and black onyx together. Then I alternately add the poppy jasper, agate, adventurine or what I feel is needed at the time. Wisdom of the Gemstone Guardians is the authors true accounts of conversations with the Gemstone Guardians, the inner world beings. Both books are a MUST read and should be added to your permanent natural healing library. From your innermost essence to your physical body, you are made of a continuous flow of life force. This life force is a current of light, which springs from the source of life itself. When it flows freely, you experience joy, vitality, and vibrant health. In the natural course of living, however, various blockages accumulate within this flow. These blockages create dark clouds within you. They obscure your radiance and give rise to disharmony, pain, and disease. Gemstones radiate their life force with great power. When shaped and used properly, they can bring light into areas of darkness and neutralize blockages. As these blockages dissolve, the light of the life force can shine through to enliven, nourish, and heal you. At Gemisphere, you can find gemstone-sphere necklaces that can enhance your health and well-being on every level—body, mind, emotions and spirit. These unique, therapeutic quality gemstones produce consistent and powerful benefits for their users. Join our community on the Crystal Gateway. There are always great inspired messages. Rosalie Muir is a fantastic host on this website. Rosalie Muir from Australia created this amazing website. You can meet her on the website. Listen to the introductory audio she posted. Sign in to be a member. It's FREE and it's fun. Rosalie and I are working together to create a place on The Crystal Gateway for the re-awakening, and the "Call Out" to All Isis Priestesses. Look for that to be coming very soon now. 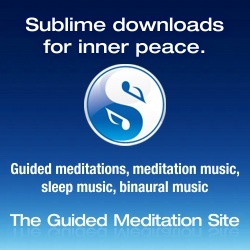 Here is my linking text to a great meditation website. The beautiful music you hear on certain pages of this website came from this site. 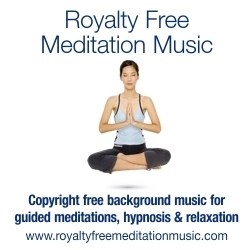 Royalty Free Music - click here or you can see the complete site by clicking on one of the banners below. I like to share what I whole heatedly believe in and usually become an affiliate for what I believe in. If you choose to purchase or take action from any of the links or information here, I may receive a commission and/or other non-financial compensation. Thank you for allowing me to share these resources with you.